Today, I’ve decided to look around for some new web applications using the AJAX development technique. What is very nice is that Flickr and this WordPress weblog work incredibly well together. 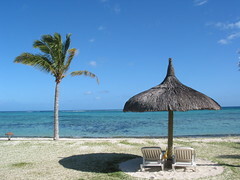 In fact, this post has been written in Flickr and, incidentally, the photo has been done by a couple in honeymoon in Mauritius. I want to use AJAX (Asynchronous JAVA script with XML ). How can i Optimize the site SEO. as Java script and flash is not recommended by search engines. Any suggestion or help is welcomed. With Regards. I want to upgrade to Flickr Pro but I can’t!! !